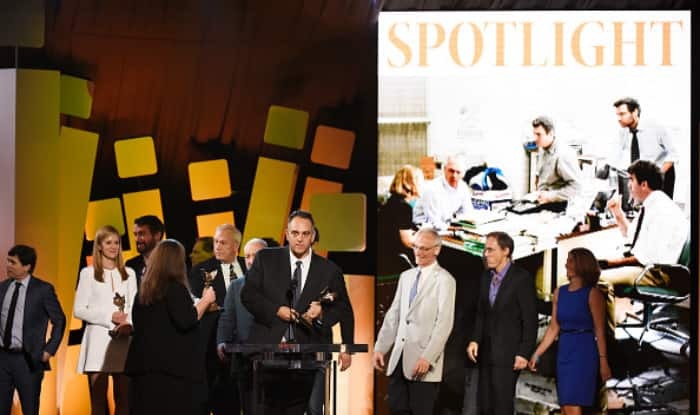 The Boston Globe Spotlight Team -- the investigative reporting team featured in the Oscar-winning, best picture Spotlight -- is doing a six-part series on the shambles the mental health system has become in Massachusetts. And make no mistake, their system is a shambles. The series is called The Desperate and the Dead, and while I understand that journalism involves sensationalism to get people to read, the emphasis on violence in these articles is striking, and unnecessarily provocative. It's stigmatizing and distracts from the real issues. This from an author who has a book coming out shortly about psychiatry's role in preventing violence. So the first article came out in late June, about people who can't, don't, or won't get care and kill their parents. It was written about desperate and dead family members. The second came out 10 days later and focused on police interventions, and the third was published today. In the meantime, the Spotlight team has set up a Facebook page for commenters and there are over 1,100 members and even with a 6 week hiatus between articles, the commenting and bickering is incessant, it has become pro-versus-anti psychiatry, do meds work anyway? And the tension over forced care is enormous. 150 People demonstrated outside the Globe one day to protest the series. Today's article starts out well -- a man is talking to his therapist about his grief after his son has died by an overdose, and during this heartfelt session where both men are in tears, there's a knock at the door with the announcement that the clinic has declared bankruptcy and the therapist has an hour to get himself and his belongings out-- the desperate patient helps him pack and transport his books and belongings. There are statistic about how many promised clinics never opened after the national movement to close the state hospitals, and about how reimbursement is so low that mental health facilities often lose money on every patient they see. State hospitals were disasters --harboring people for decades and there are descriptions of people without clothes, withering in horrible conditions -- and as the article says, we don't want this back. But still, there are not enough beds and sometimes people need to say in the hospital for a little while to heal (simply put: we don't do that anymore; we treat people but their on their own for healing). And some people are so sick and so dangerous that they really do need someplace to live with nursing care, close medical supervision, and safety measures for a long time, and it should be somewhere clean and comfortable with good food, interesting activities, and knowledgeable and compassionate staff. But I've digressed. So this morning's article on Community Care makes the point that care is very hard to find in Massachusetts, and people simply go without. Violence among those with mental illness is uncommon, but certainly exists. 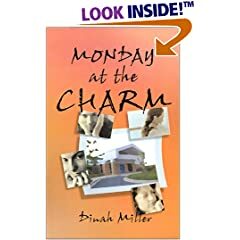 They go on to highlight a story of a woman who repeatedly repeatedly stabs people, including children, who is found to be not guilty by reason of insanity, spends time in a hospital, gets released, does well, then falls through the cracks and leaves care because of warps in the system, stops her medications, gets sick, and in her delusional state, stabs some and the cycle repeats. And if that isn't bad enough, the exact same cycle happens a third time! This isn't about forcing people who've committed no crime to get treatment, it's about a totally broken system, and please note that our book, emphasizing respect for civil rights, is about civil commitment: forced care for those who have committed not crime in a 'treatment before tragedy' concept. Forcing care on people with a history of committing violent crimes when they become delusional belongs in a different ballpark. But again, I'm digressing. Let me borrow some statistics from the article. One in 10 homicides in this country are thought to be committed by people with mental illness. It's a number we hear consistently. What does that mean? Are those people with psychosis or does it include people on an SSRI for anxiety? Because 1 in 5 people are affected each year by a mental disorder, and half of all people will suffer from an episode of some type of mental illness during the course of their lifetime. Some people do kill because they are delusional, and if we are aware that someone is delusional and dangerous, we are obligated to help them, but I can't imagine that is one of 10 killers (and I admit, I could be wrong). It's possible that statistic includes people with mental disorders that have nothing to do with their decision, or impulse to kill, and that much more violence is about substance abuse and anger, and if you kill someone during an argument, does the fact that you were once treated for a mental disorder necessarily have anything to do with it. With those statistics, if not limited to severe and active psychiatric disorders (and I'd include all murder/suicides in there, even without psychosis), then I'm going to say that you're safer in a community of people with mental illness than in a community of people without mental illness. Another statistic: From 2011-2015, 52 people were killed by assailants with known or suspected mental illness and 17 people with mental illness were killed by police. Maybe it's not relevant, but may I mention that in a single weekend this June, 64 people were shot in Chicago and one person is shot by the Chicago police every 5 days? In those four years, there were at least 100,000 suicides in this country. Obviously, we're talking apples and oranges, and obviously we should be making sure that people with a known history of violence due to their illnesses are getting care, but I think the important point here is missing. All three articles talk about violence. They quote a psychiatrist as saying that if we care about public safety then we have to do something. They don't talk about the difficulties people have all over the country, and likely in Massachusetts in particular, in accessing care they need and want. They talk about mental illness as a safety issue. Mental illness is not generally a public safety issue (and yes, there are obvious exceptions), but for the average person, mental illness is about suffering and getting care is about seeking relief. Why don't these articles highlight the pain and suffering of someone who wants care and can't get it even if they won't kill anyone? Maybe they just ache, can't enjoy their kids, can't get out of bed, don't work and live on the street or from government disability payments? It all seems to be about how the state is lax in trusting patients to take their medications (hmmm, and how hard is it to get those medications, and have you ever tried to get Abilify for a Medicaid patient in Maryland -- it isn't fun and the state wants the patient to fail two cheaper meds first, even if she has a history of a good response to an expensive med). Maybe there are times when court-ordering people to treatment is appropriate, but why would a state spend resources on that when your average person with schizophrenia, bipolar disorder, depression, OCD, anxiety, and PTSD has a really hard time accessing voluntary care? When someone who wants to be in the hospital can't be because the state has cut their beds by 97%. When the article also mentions that the state doesn't have adequate mental health courts (where patients agree to treatment and are diverted from incarceration and the state follows them closely and helps them get services), where the police are not specifically trained to work with people with mental illness, which may lower the rates with which they shoot them, and help divert people from jail to treatment (~oh, but they have so little treatment available). There is this odd assumption that only people who don't want help are dangerous and that we should funnel resources to them first. Finally, I'd like to add one more form of perspective here: despite the fiasco of the MA public mental health system, the murder rate is at a 10 year low. In the entire state, in 2015 there were 133 murders. 6.8 million people live in Massachusetts. In Baltimore City, we have 600,000 people and years when we exceed 300 murders. How can the claim be that declining access to public mental health services and the lack of outpatient commitment is a safety hazard when the homicide rate is dropping? Can we change the conversation? Psychiatric care and substance abuse treatment should be available to those who want it because it's the humane thing to do. We want to lessen human suffering for everyone, not only the victims of violence, and we want a kind and humane system that helps people to be mentally well members of society who achieve to their potential. Highlighting the few disasters does just that, but it's stigmatizing. Hopefully it wakes up the legislation in Massachusetts and gets increased funding and treatment that is easy to access. Oh, my -- it's been nearly a month and that is the longest I have ever gone without posting on Shrink Rap in 10+ years. Just busy, to the point of being a little overwhelmed at moments. And the nice part is that some of busy is time with family and time down the ocean, hon (as they say in B'More). So lots of good busy, and lots of work busy, too. I just submitted two abstracts to the APA --proposals for symposia for May's meeting in San Diego. 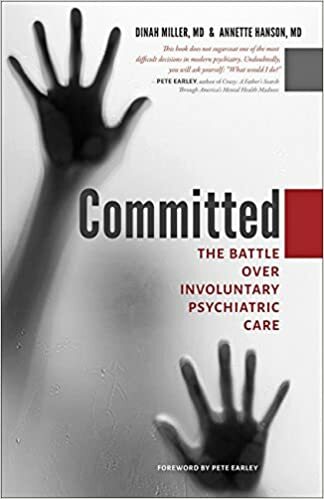 One is based on the subtitle of our forthcoming book: The Battle Over Involuntary Psychiatric Care and the other is called Outpatient Commitment: A Tour of the Practices Across States. I do hope they get accepted because there is an amazing group of people who have agreed to speak at these sessions. I do think this will be the first time a member of MindFreedom International -- a group that traditionally demonstrates outside the meetings in opposition to organized psychiatry -- would be present as an invited speaker. I do hope our symposia make the cut. More in the months to come. Over on Clinical Psychiatry News, I have two recent articles up and Roy has a new column as well. My editor, the lovely Gina Henderson, asked me what I thought the five most important issues for psychiatry are and here is my post on The Top 5 for Psychiatry. If you want the short answer: access to care, a need to stop di-chotomizing people into mentally ill versus mentally well, better treatments, less distracting red tape and paperwork for an overstretched/undersupplied profession, and a more thoughtful look at involuntary care. I also wrote an article on Why Psychiatrists' Opinions of Political Candidates Shouldn't Matter and I do hope you'll read this. I've gotten some nice feedback on the piece so let me know what you think. And Roy has a new techy column in the last hard copy of CPN, but due to technical issues, it's not up online yet. I'll let him update you soon. Finally, 73 days until the damn election is over. I was ready for it to end 8 months ago.